India had a few anxious moments on April 26, when countries and companies globally observed World Intellectual Property Day. The cause of concern was the possibility of the US blacklisting India for its intellectual property rights (IPR) regime. A few days later came a partial reprieve as the US Trade Representative announced its decision to keep India out of the Priority Foreign Country list, which is a classification of nations with poor IP laws, but still on the priority watch list. “The US’ concerns over India’s IPR regime will affect the country’s brand immensely, particularly at a time when India is opening up several sectors to foreign direct investment,” says NC Hegde, partner, Deloitte Haskins & Sells. Trouble started last year, with the US pharma industry intensifying protests after Novartis’ plea to patent its anti-cancer drug Glivec and Bristol-Myers Squibb its Sprycel were rejected both by India’s Intellectual Property Appellate Board and the Supreme Court. The latter said the drugs were not new medicines, but amended versions of a known compound. This came as a shock to the global players. Glivec has been patented in nearly 40 countries. Indian law allows generic players to take up manufacturing for incremental innovations at lower prices; which is how Indian players like Natco and Cipla produce and sell a Glivec-like drug at a 93 per cent lower price. “Indian law bans firms from extending patents on their products by making slight changes to a compound, a practice known as ever-greening. Otherwise, companies would retain patent exclusivity and continue to sell products at a premium price,” explains Supreme Court lawyer Pavan Duggal. Earlier, the Appellate Board had dismayed the global players by granting a compulsory licence to Hyderabad’s Natco Pharma to manufacture and sell a generic version of Bayer Corporation’s patented anti-cancer medicine Nexavar, at an over 90 per cent reduced price. In 2012, Pfizer’s cancer drug Sutent and Roche’s hepatitis C treatment Pegasys too had lost their patented status in India. “Multinationals are upset with Section 3 (d) of the Indian patent law, which refuses patents for incremental innovations. But India’s Patent Act of 2005 is compliant with WTO’s Trade-Related Aspects of Intellectual Property Rights (TRIPS),” explains Bhaskar Narayana, finance director & CFO, Natco, adding, “The perceived philosophy that the US IP model is the only right one needs to be changed”. Interestingly, though the Obama administration has been strongly criticizing India’s investment climate and IPR laws, particularly the Pharma case, three US companies— Boeing, Abbott and Honeywell—support the local IPR regime. In remarks submitted to the US Trade Commission on April 29, Boeing said: “India has a legal framework that is adequate to protect IP with no known cases of IP violation involving Boeing’s activities in the defence and aerospace sector.” On its part, Honeywell has termed India’s IPR framework one of the “key enablers for its engineering and technology presence” while Abbott says it is committed to a long-term presence here. As per WTO, IPR rights are given for new creations in two categories: copyrights and industrial property. Copyrights pertain to literary and artistic works and are protected for a minimum period of 50 years after the creator’s death. Industrial property is further divided into two sections: a) Trademarks and Geographical indications; and b) inventions (protected by patents), industrial designs and trade secrets. Indian IP laws do not comply with WTO Plus, which gives protection even for incremental innovation, which is what global pharma companies are demanding. By not being part of WTO Plus, Indian laws encourage production of affordable products. Typically, an invention—irrespective of the sector it’s in—is given 20 years’ exclusivity for patent holders. Pharma is an exception to the rule, considering the need for affordability, particularly in under-developed economies and, as per WTO’sTRIPS (Trade-Related aspects of Intellectual Property Rights) agreement, generic companies can make copycat versions 10 years after the awarding of the patent. Interestingly, TRIPS also entitles countries like India to grant a compulsory licence to domestic players without the consent of the patent holder even before the expiry date, provided the local players pay royalty to the patent drug maker and stay away from exports. With the developed markets almost saturated, India, with its huge population, holds out massive potential for growth. 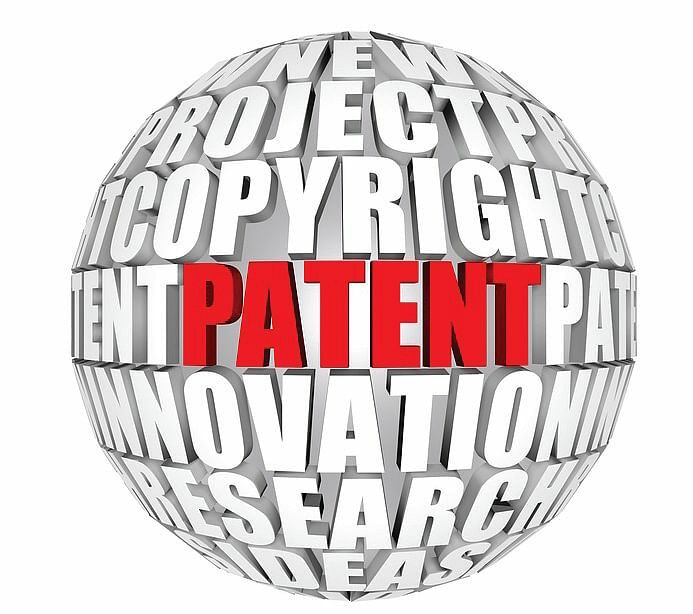 But its tight IP laws prohibit companies from having an edge with patents here. This seems unfavourable to the foreign players, who are being supported by the US trade lobby. It’s not that there is no activity at all in the patent area. Zinnov Management Consulting, which works with several Fortune 1000 companies, says the number of patents filed in India has increased at significantly over the last three years. But this is nothing compared to China, which filed 503,582 patent applications in 2012. This put it on top of the World Intellectual Property Indicators (WIPO 2012) report, while India ranked seventh with 42,291 applications. “It’s not due to a lack of innovation that we are behind, but due to a lack of awareness about the need for patenting. But that’s gradually changing,” says Kalyan C Kankanala, managing partner & co-founder, BananaIP Counsels, an intellectual property consulting firm in Bangalore. The Controller-General of Patents, Designs, Trademarks and Geographical Indications, under the Ministry of Commerce and Industry, says there has been a spurt from domestic companies seeking patents. The total number of patent applications, for instance, increased from 36,812 in 2008-09 to 43,674 in 2012-13. Of the 43,674 patents filed in FY13, over 78 per cent were international applications and 22 per cent local. The local demand for patents is marginally up: in 2011-12, of the 43,197 patent applications filed, 80 per cent were foreign. In March 2014, TCS Ltd topped the list of IT patent filers with 162 applications followed by Samsung India Software Operations with 135 applications, Infosys with 81, Tejas with 40 and HCL with 36. The other organizations applying for patents are Biocon, Titan, TVS, Indian Institute of Science, ISRO, MS Ramaiah School of Advanced Studies and the Jawaharlal Nehru Centre for Advanced Scientific Research. The Tata companies too are going all out to garner as many patents as possible. Tata Motors’ Nano owns 31 design and 37 technology patents while Tata Steel boasts of 1,200-plus patents. Experts say R&D by companies is increasing and the possibility of indigenous patents going up is high. Among two-wheeler firms, TVS is the highest spender. It earmarked over 1.79 per cent of revenue on R&D in 2012-13, up from 1.68 per cent previously. Bajaj Auto increased its spend to 1.2 per cent of sales in 2012-13 from 0.8 per cent in 2011-12. “Our strategy of differentiation is possible only due to in-house capability of developing engines and bikes. The highly successful platforms of Pulsar and Discover are complete in-house developments,” says K Srinivas, president, motorcycle business, Bajaj Auto. May his tribe grow.